I read your story, and… I think I’m in the wrong place. You see I’m suffering from the pain of my own choice. I had a abortion from a one night stand. Like you, was drunk and I don’t even known his last name. All I know is that he was the father ’cause I don’t sleep around!! I regret it sooooooo much, living in pain, I have turned it inward into myself. I hate myself for having an ABORTION!!! I WANNA DIE! I’m tring to get pregnant again even though I know IT WILL NOT MAKE UP FOR THAT CHILD!! I’m in so much pain its hard to live with myself, please help. I’m Julie from Standupgirl.com. I’m so glad you wrote! It is so much better to talk about this instead of just getting angrier and more depressed. I can’t even begin to imagine the pain you are in, as I haven’t had an abortion. But friends have, and I know from them that the pain and guilt can be overwhelming. But it doesn’t have to stay that way! You can find peace and forgiveness. No matter what you have done, and how much you hate yourself, God loves you. He forgives the worst, gives beauty from ashes, makes all things new. And fills sorrowful hearts with joy and peace. 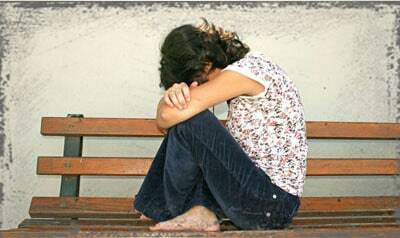 There are millions of women suffering because of abortion. It can help to talk together at an abortion recovery group – you can find one at http://www.abortionrecoverydirectory.org or http://www.afterabortion.org. There is also a great book by Linda Cochran called “Forgiven and Set Free” that you can get at Amazon.com. And no, getting pregnant again won’t take the place of your aborted child. And it may not make you feel any better, It isn’t fair to your second child to have a mother who isn’t healed and ready to start again. So please, wait to get pregnant. You can get through this pain, and find life again. If you want to talk to my friend Lisa, who had two abortions, and found peace and healing, you can e-mail her at “> . And I’m here if you’d like to talk more. I can’t tell u how much it means to me that u replyed, It means to me that someone does care. and there is hope out there for me. THANK U!! THANK U!! THANK U!! Only you can stop the pain of this. You have to forgive yourself before you can move on. Its not your fault. I seem to spend my life telling people this. I believe that life is a book that opens and closes doors and its a book you cannot read the story is already there you are just putting the words into ink. If you can imagine a car on a road driving not sure where to go you dont have a map only your intuition yes you will take a wrong turn but no matter where you go you will always find your way back to the right road and head where you are going to again. Wow, I think lamara said it perfectly in regards to the car and map and such, it is true. And Although there is nothing you can do about the past, you can certainly do everything to move forward in the futire. You did what you had to do at the time…. None of us are perfectand you do the best you can in each circumstance that is presented. God works in mysterious ways, and I now that is an old cliche, however it is very true. You do not know what the future holds, but keep your head up, stay strong and you will prevail. Look towards the future, or you will simply be living in the past, and in misery. Find it in yourself to forgive yourself, you deserve it. Clearly you feel awful about what happened, you do not need to punish yopurself any longer… there is no need, or you never will be able to be happy, and you deserve hapiness. I wish the best for you and if I could take some pain away from you, I would. I understand your pain. My friend had an abortion and she feels empty. I will tell you the same thing I told her. We all make mistakes and I've made some huge ones of my own but it is okay to feel guilty about a mistake because we learn from it. But we need to realize we need to forgive ourselves just like god will do for us. I really hope you feel better and realize having another child will make things harder. My best friend goes through many hardships with her son. Wait until your settled and have an education and you will see it will be all worth it. Much love. I pray you will find this peace as well. God bless.